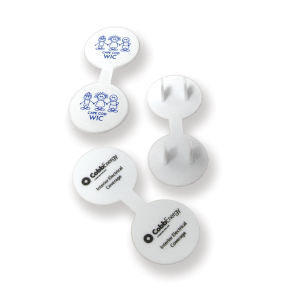 Imprinted Socket Outlet Covers in Bulk. Our outlet covers help your company say it's concerned for children's safety. The outlet covers help stop children from inserting objects into wall sockets to avoid a shock. Imprinted covers only in bulk - not bagged. BPA free.